Chaga must be harvested properly to retain the active, beneficial ingredients. Properly harvesting chaga begins by finding the right source. While chaga grows in a few locations around the world, we believe the purest and most potent chaga grows in Siberia, the only place we wild-harvest our chaga. Air quality of the region is an important element for chaga. Since chaga absorbs toxic substances from the air, such as heavy metals and radionuclides, the ideal harvesting spot is far from big cities, industrial areas, and highways. The chaga used in Sayan products is harvested by hand, in the wilds of the northern Siberian Irkutsk Region and Khakassia, which we consider the best chaga source in the world. Sayan only harvests wild chaga in forests that are more than 200 kilometers from the nearest town. This ensures the ecological cleanliness of the chaga and the preservation of its wellness properties. To collect chaga, we employ specially trained people with experience and who are able to distinguish and find the highest quality chaga mushroom. 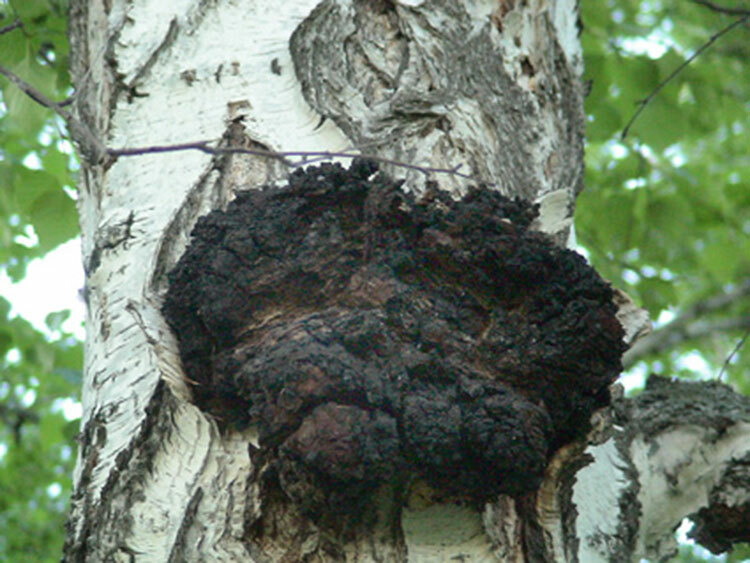 Chaga grows only on old, living birch trees. The best birch trees are at least 10–15 years old, with the chaga growing at least 2–3 meters from the ground. This combination seems to foster a stronger concentration of wellness properties in the chaga. Some believe that chaga can be harvested all year round, regardless of season. At first glance, this is true, because chaga is a fungus that lives long, grows slow, and is well-protected from all sorts of weather. But experience suggests that it is best to collect chaga in the spring and autumn since it accumulates the greatest amount of useful ingredients during the spring sap flow and autumn preparation for the harsh winter days. Chaga freezes during winter and it’s difficult to pull it from the birch tree. In the summer, when the forest is covered with abundant greenery, it’s almost impossible to find chaga and harvesting cost increases, which is often passed through to the customer. It is believed that chaga has more nutrients and beneficial properties if it grows on a birch tree in the birch forest, rather than a lone birch in the middle of other tree species. Located on a separate tree, chaga contains much less biologically active substances. It’s impossible to collect chaga from a dry tree, since as soon as the tree dies, the chaga begins to wither. Also, it’s not advisable to collect chaga from the ground, as these are generally old, crumbling growths. It’s easy to distinguish such unsuitable growths: they are loose, easily crumbled, and black over their entire thickness. Other subtleties must also be taken into account during the collection of chaga. We have described only a tiny fraction of the nuances associated with chaga and its preparation. Harvesting chaga takes skill. 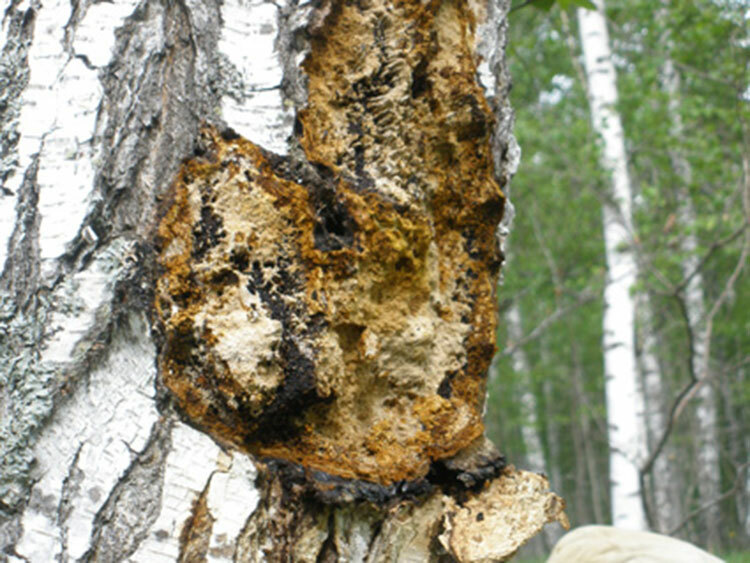 When harvesters remove chaga mushroom from the birch trees, a thin layer of mycelium is left. You can see how the birch tree after chaga harvesting looks like on the right. Each harvester ensures that the chaga harvesting is properly done so the birch tree is not damaged. Small pieces of chaga are left on the birch tree to promote future chaga growth. The best technique allows faster recovery for the tree and it also increases the nutrients which birch tree gets after the large chaga is removed. By removing mature chaga, the life of the birch tree might be extended while more chaga grows. By contrast, other chaga providers, in an effort to reduce the cost, often buy chaga from multiple suppliers without proper control over how the harvesting is done. It’s common in these situations for chaga to be left unattended and unprocessed for a long period of time. This can lead to microbial growth and other potential issues like lack of nutritional value. The best chaga is processed quickly from harvesting to processing to final product. As a final step in the harvesting process, all our chaga is tested in the lab to ensure it is sanitary, clean, and free of radionuclides. We follow best practices for collecting, drying, and storing chaga. After chaga is separated from the birch tree, it should be treated in a certain way. As soon as possible, chaga should be taken from the tree to the processing facility where it is cleaned and inspected. Part of the processing is finding the right portion of the chaga to use. 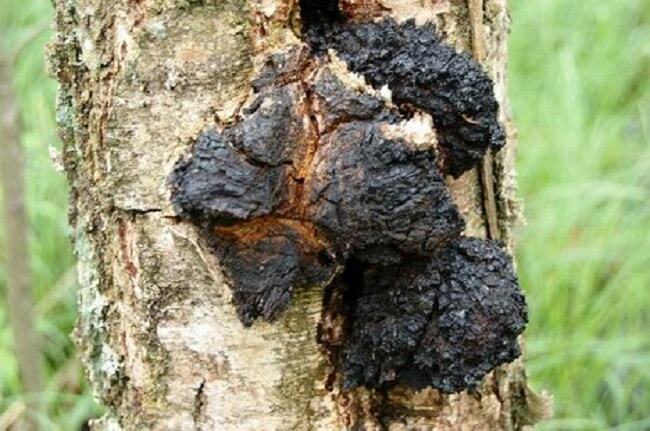 Not all parts of birch chaga are equally suitable as a supplement. And if one part of the mushroom has many nutrients, others might be almost useless. The least beneficial are the light and loose parts of chaga, adjacent to the trunk. We discard them along with all sorts of chips and pieces of birch bark right there in the forest. Only the solid parts, the Chaga Conk, are used. They are found on the outer and middle part of the chaga mushroom. Read more about chaga layers here. Our manufacturer is FDA-registered facility which employs only trained professionals. Testing is performed on each collection of harvested chaga in certified labs by these trained professionals. Raw chaga is tested for consistent nutrient and taste standards to ensure quality and consistency. Fresh chaga mushroom is easily exposed to mold, so it cannot be left to dry in too wet, too cold, or poorly ventilated areas Thus fresh chaga needs to be dried as soon as possible; otherwise it will lose a large part of the biologically active substances Our proprietary drying process takes place at dry, warm, and well-ventilated place. 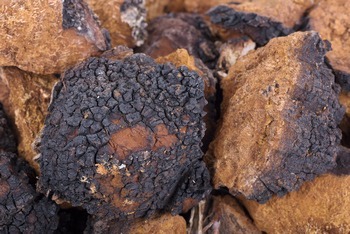 Fresh chaga must be cut into pieces no more than 3–6 cm wide and dried until the pieces become hard and crumbling. Well-dried birch mushroom should be placed into glass jars with tight-fitting lids. It can also be packed into sealed paper or canvas bags. Correctly collected, prepared, and stored chaga retains all of its healing properties for 2 years. That is our process of harvesting and processing chaga mushroom which leads to the best quality products at Sayan Chaga. If you have questions about proper harvesting and preparation methods, call us or send us an email, and we’d be glad to help. Wondering where to find Chaga mushrooms? Some people go hiking in search of the Inonotus Obliquus, also known Chaga. Is that what you want to do or would you prefer to buy Chaga. This fungus is increasingly being discussed on health and wellness sites and discussion forums due to the high Chaga ORAC (antioxidant) value and due to the research that has been done in numerous areas of health and wellness. It’s definitely worth investigating! If you’re looking for an adaptogen, Chaga is an excellent choice. You’ll find on sites like Wikipedia that it has many other nicknames, too, such as Polyporus obliquus, sterile conk trunk rot of birch, Schiefer Schillerporling, berkenweerschijnzwam, Poria oblique, and others. Chaga is a parasite that grows on birch trees. It’s a good idea to look in depth into this before going wild Chaga picking, of course, so you can be sure you know what you are looking for. A parasite is often a negative term people use but in the case of Inonotus Obliquus, while it’s parasitic to birch trees, this certainly isn’t the case when it’s consumed by people. Chaga mushroom use for therapeutic purposes has been documented for generations as something that can be particularly helpful for a number of reasons. (Learn more about Chaga) Some forests have abundant amounts of Chaga mushrooms. But it’s not always easy to find. And, according to many researchers who have investigated using this fungus for a number of medicinal and therapeutic purposes, it’s not all equal. Certain environmental factors could come into play in the grade of one piece of Chaga over another. Once you find it, it’s not something that one can consume. You can grate it into a powder, brewed into tea, or processes can be necessary for obtaining Chaga extract powder. Maybe you don’t have interest in wild Chaga picking. Or maybe not on spending a lot of time preparing it. You may want to know where to find Chaga that is ready for you to use. It’s not always easy to find in local health stores but you can buy it online, too. Here at Sayan Health, we responsibly source Chaga from the Sayan Mountains in Siberia. The cold climate and pristine conditions nurture what we believe is the ideal Chaga mushroom extract. 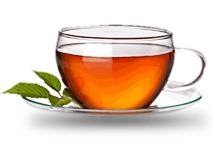 We sell powder, caffeine-free Chaga tea, Chaga cream, Chaga oil, and more. Visit our online store to find out about buying Chaga or check out some of the different ways of using Chaga on our blog. Best of luck with your quest for health and wellness! The chaga mushroom has been used for thousands of years throughout many parts of the world. More recently though, people in other geographic regions began incorporating it into their diets. 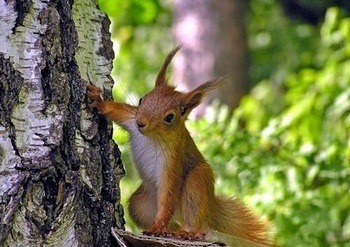 Some particularly adventurous individuals even try to harvest it from the wilderness. If you’re thinking about taking that approach, keep reading to get some advice. It might help you have more successful hunting trips. Wild chaga is found in several parts of the world including parts of Canada and the US, plus Siberia. Keep your eyes peeled in sparsely populated areas that feature yellow and white birch trees. Also, don’t just examine the base of the tree. Unlike some types of mushrooms, chaga can be found in the upper areas of trees. It looks more like a black, charred section of the trunk than what many people think of when they envision mushrooms. Because of the way it attaches to the tree trunk, you’ll almost always need a hatchet to remove even small pieces of the mushroom. In some cases, a hammer will suffice. Some hunters say it is easier to locate the mushroom during the winter months because it often grows so high up on a tree that it might be hidden by greenery during warmer weather. Also, frozen chaga may be easier to remove. Even if you have a sharp ax, it’s still necessary to be very patient and careful. Trying to be too hasty could harm the tree and make your quest ultimately useless by ruining the mushroom and damaging the tree unnecessarily. Because sourcing the Chaga mushroom in the wild can be so time-consuming even once it’s been found, many people decide to simply buy from a company that offers premium products that contain chaga extract. That’s a great alternative if you’re eager to supplement your diet, but don’t have the time nor desire to follow the suggestions you’ve just read. Not only is chaga hunting potentially challenging but making Chaga tea yourself can be arduous. Sayan Chaga began in 2007 and specializes in hand-picked Siberian chaga. This chaga is more potent than the North American varieties. Shop in our online Chaga store today. Tap into some of the health benefits of Chaga others have enjoyed for generations. So when do we collect chaga? When to collect is just as important as the environment it grows and the processes undertaken to produce this fine medicinal herb. There are a few things to remember when searching for chaga. While some people would never know how and where to collect chaga, having a little knowledge is the best place to begin. The first step in the collection of the chaga mushroom is a correct identification of this king of herbs. 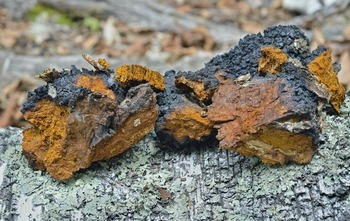 Chaga can be mistaken for a burl or a protruding knot on the tree. The novice will soon find out that trying to harvest a burl will be considerably harder than harvesting chaga. Imposing in its outer appearance, chaga is strangely recognizable. Maybe you see the rough texture from the many books and articles on the subject. With this, you will grow more familiar. If you want to be a chaga hunter, you can do own research. Not only will sourcing chaga become easier over time, you will be able to teach others how to recognize what is becoming one of the most coveted natural sources of antioxidants. If you are not an expert yet, you can still carve your own path. Wherever possible, take someone with you who has the knowledge and experience harvesting chaga. A seasoned chaga hunter can provide the novice with a wealth of information on the inhabited environment. A hunter can impart additional knowledge on this popular medicinal mushroom. Chaga is found in the coldest of climates of the Northern hemisphere nations. Namely Russia, Korea, Eastern and Northern Europe. It’s recognizable in their birch tree laden forests. Some areas of the United States and Canada have some chaga lovers seeking out this diamond of the supplementary health world. Chaga should be at its peak when there are consecutive nights of 5 degrees or below evenings during the fall season. Warmer weather is not conducive to be best chaga. Sap and water content can render the mushroom lacking in nutrients. Only the living trees are suitable for collection of chaga. As a parasite, if the birch tree is dead, so is the chaga. So remember, chaga should only be harvested directly from the birch tree, and never taken from the ground. Chaga is a finite resource. And we must treat such reserves with the utmost respect. Only the best suppliers of the world’s finest chaga will sustain the product in their best environment, with a view to continued growth. Sustainability is not a new word but is becoming one of most importance when protecting our earth’s dwindling resources. Knowing when to collect and seeking to harvest is fine, as long as there are long-term plans for the survival of our natural and medicinal solutions. So if you have ever entertained the thought of hunting for your own supplementary health jewels, be armed with information about chaga. You could be the next best chaga hunter. Use resources specifically this diamond of the forest, to help you along the way. Chaga grows on other trees other than Birch can you tell me? Because I live in S.W. Oregon and can’t find any Birch trees here.